Suma Jayma, our Bolivian NGO in-country partners finally received much needed equipment and materials. 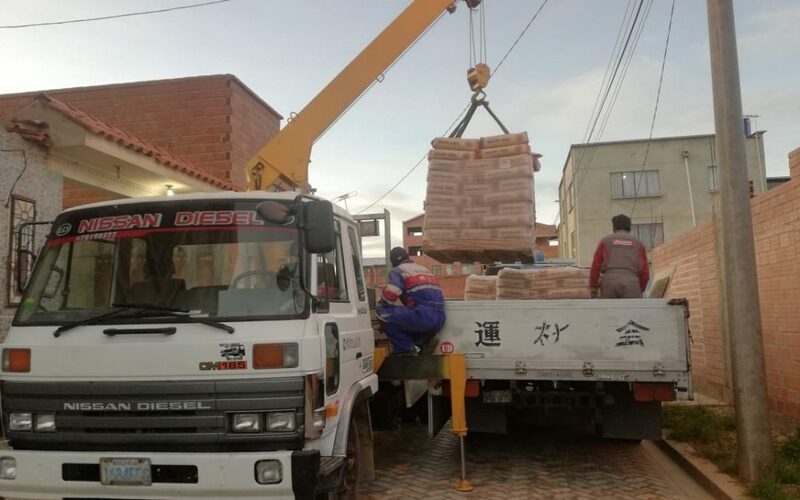 Long-time WEFTA volunteer, Jason G., lead collaborative efforts with partners to coordinate a shipment from the U.S. of donated equipment and materials to Suma Jayma in La Paz, Bolivia. The materials finally made it through the customs clearance process on January 25th. The much needed materials & equipment for well drilling and well rehab was donated and funded by multiple donors. The delivery was welcomed by Braulio & Jaime of Suma Jayma, with the help of their family members to assist with unloading the cargo. The donated items included a trailer with a compressor & new generator, bentonite, and high quality drill bits among other accessories. Many thanks to all the donors and the team that made this happen! To learn how you can help make an impact contact us at info@wefta.net.